While the Nexus device lineup from Google are always the first family of Android smartphones to receive timely OS and security updates, the tech giant has decided to do something responsible and published timelines when its devices will stop receiving those updates. According to the extra details, Google has started to become more open with users as far as its Nexus update policies are concerned and before this announcement, Google began rolling out monthly security patches to all of its Nexus devices that are promised for 3 years or 18 months after the device is delisted from the Play Store. Moreover, Google has also promised to provide major Android version OTA updates for 2 years after the device’s initial launch. While this is a commendable step for users to learn when their devices will stop receiving those updates, not to mention that Android smartphone manufacturers will finally start to push those updates in a timely, one thing has us scratching our heads continuously: when exactly will software support end for a device? 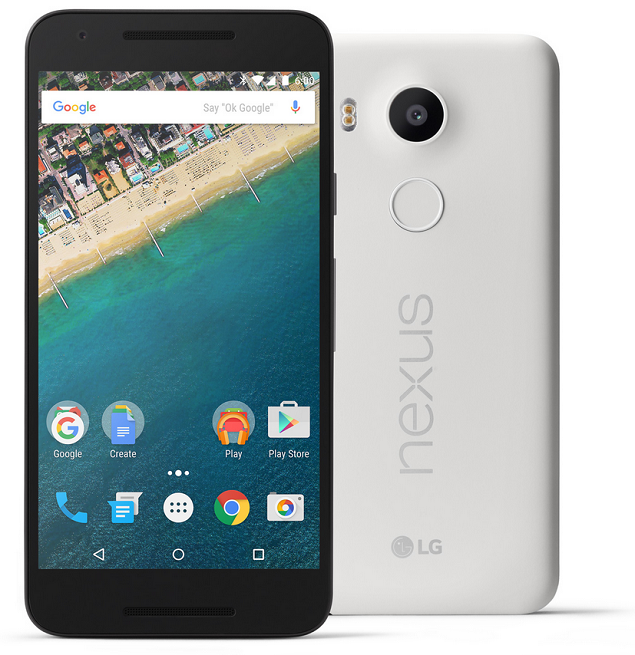 Users who demand a much more concrete timeline have only been offered a brief timetable (image has been given below), indicating the end-of-life date for certain Nexus devices. Nexus 6 is nowhere to be shown in the list, which could substantiate that the phablet sized smartphone might not be updated to Android N, which is slated to officially release later this year. 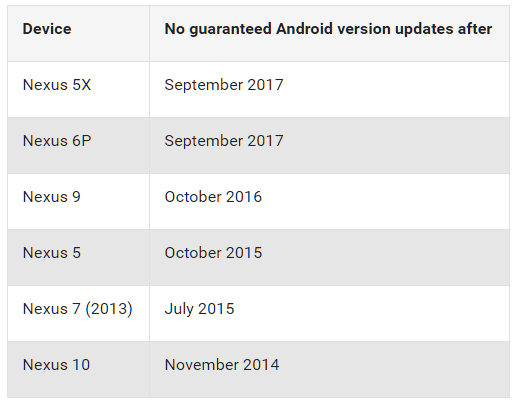 However, you have to keep in mind that these are the final dates after which your device is no longer guaranteed to receive a major Android software update. If you’re looking to taste the latest and greatest OS update of Android, then it is advised that you will have to flash a custom ROM in the near future. While users will not receive operating system updates, their devices will still receive timely security updates, which is something that Google has done well thanks to Android’s high vulnerability status. 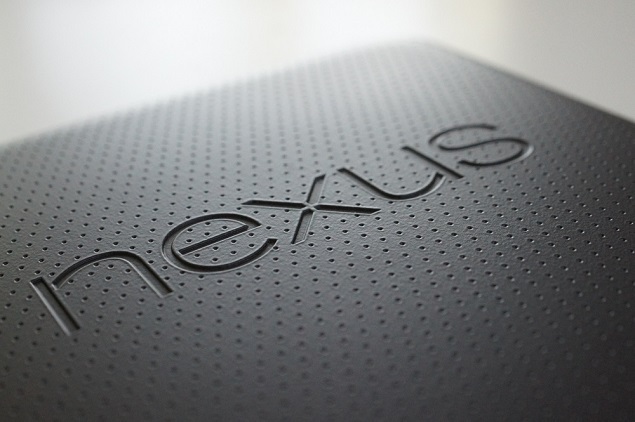 Regardless, we cannot help but think that Google has severely shortened that timeline when Nexus devices will receive those updates. 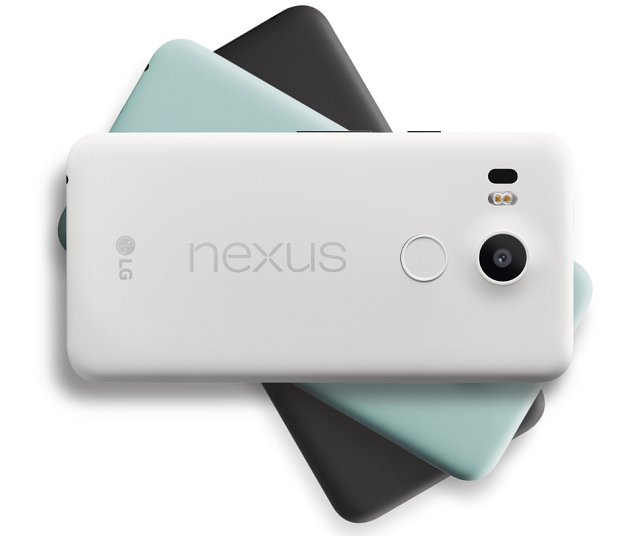 We mean to say that Nexus 5X and 6P were only announced back in 2015, but they will only be eligible to receive updates till next year. Apple continues to release software updates, with its iOS 10 being compatible with an iPhone 5, a smartphone that was announced way back in 2012. What do you guys think of the latest step taken by Google? Let us know your thoughts right away.